What Does Concrete Grinding Entail? The result of concrete grinding is a smoother, more durable surface. Read on to learn more about what concrete grinding entails. 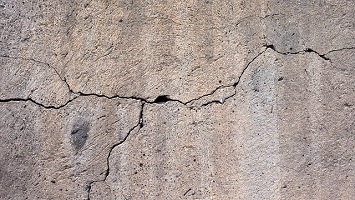 As smooth as a concrete surface may appear, all concrete comes with a certain level of imperfections and irregularities. These come from a number of factors, including environmental occurrences and human interaction. Concrete grinding is the process of removing those irregularities from the surface in order to better preserve the pavement. The result of concrete grinding is a smoother, more durable surface. Read on to learn more about what concrete grinding entails. Concrete surfaces are under a lot of pressure, figuratively and literally. In addition to the constant exposure to rain, snow, hail, and other environmental factors they also have to continually support the weight of heavy vehicles as they drive, brake, and park all over the surface. The combination of these factors will eventually weaken and damage the concrete. Concrete grinding, which often involves leveling, helps restore the integrity of the concrete. The process of concrete grinding is simple — professionals use a concrete grinder to smooth out the rough surface of the pavement. It essentially creates a brand-new surface while using the existing concrete. It helps remove cracks and other imperfections while increasing the safety of the pavement for all types of vehicles. Another factor that makes concrete grinding so effective is that is will not adversely affect the integrity of the concrete. The quality of the materials will not be weakened, and the surface will maintain its intended durability. One of the main benefits of concrete grinding is better riding quality. The second on the list is that concrete grinding is a much more cost-effective option than more intense repairs or even total replacement. It preserves the existing concrete rather than demolishing it and starting over. You’ll also notice less noise for business owners or residents in the area. Longitudinal texturing creates a quieter driving surface. Speaking of texture, grinding creates more surface texture which helps with creating better skid resistance and safer driving conditions. In addition, the combination of these benefits will result in reduced accident rates. This entry was posted on Tuesday, July 31st, 2018	at 2:16 pm	. Both comments and pings are currently closed.